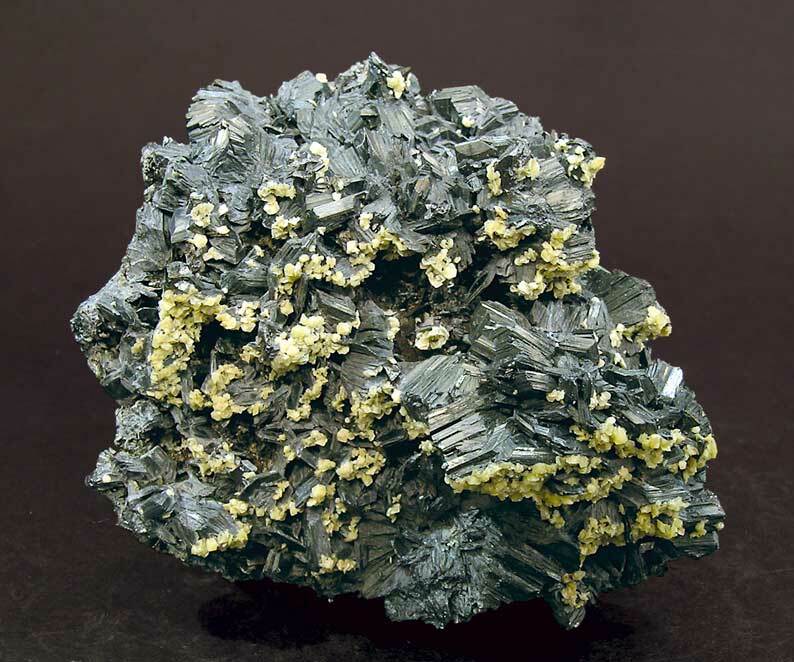 Comments: Tabular crystals forming groups and rosettes of gray semseyite with creamy greenish yellow siderite. Location: Herja mine, Maramures Rumania. Scale: 6.5 x 6 x 3.5 cm.